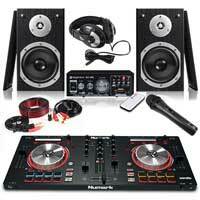 DJ Packages are a fantastic way into the world of DJ Equipment, with big savings on products selected by us to offer you the best system. 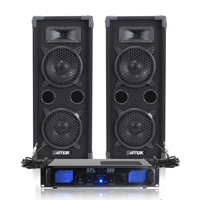 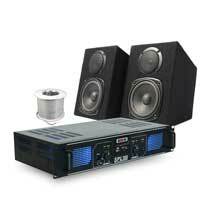 Perfect for bedroom DJ’s and beginners, home party enthusiasts or the working DJ that's looking to upgrade all in one go, with DJ Amplifiers from brands like Skytec, and Passive Speakers from Vonyx and Max offering fantastic value and quality. 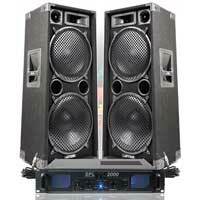 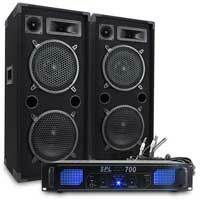 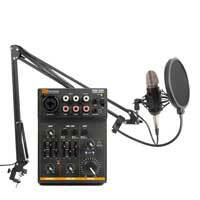 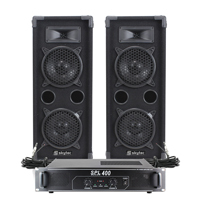 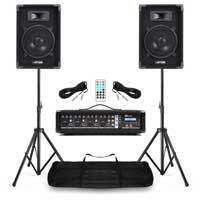 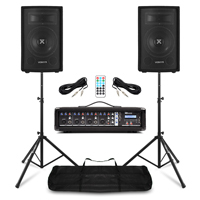 With professional packages that include Active Speakers and Speaker Stands, and come accompanied with LED Lighting Effects along with atmospheric effects like Smoke Machines, you can be set up and ready to work in no time.